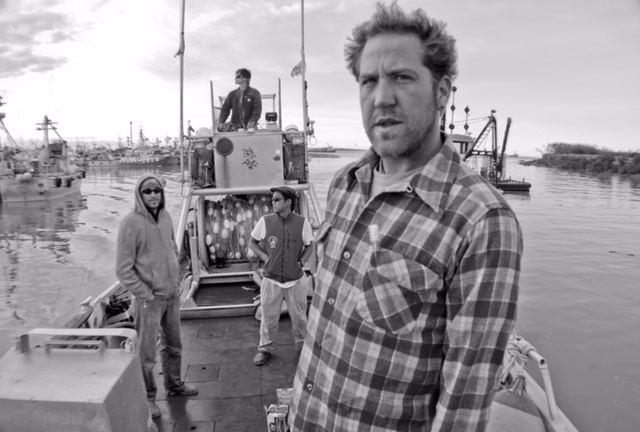 Jacob Battisti and The Gypsy Fish Company, Oregon! I’m excited to announce my partnership with Jacob Battisti and The Gypsy Fish Company, Oregon. Jacob and I met fishing in Bristol Bay many years ago. Now Jacob is married to another one of my best friends and has an amazing and wonderful child. So many hours of staring at the net… the birth of The Gypsy Fish Company! The Gypsy Fish Company was hatched in a long winded discussion that Jacob and I had while working long hours on a fishing boat named The Cash Flow. There’s a lot of talking that fills the long hours of work. This was one idea that we hatched that actually had wings to really fly! Back when we were young bucks! I was born in the middle of an apple orchard in Western Colorado. We moved to Seattle when I was young and then to Samoa and onward to New Zealand before I was ten. I learned to scuba dive in New Zealand and that fish eye view of the world and a Green Peace reef protection project opened up my eyes to a whole world below sea level. It planted within me a deep love of the oceans. Washington State, I stopped in Fiji to help a friend fix up an old sailboat and go sailing around the islands. For a couple of months we toiled away in the sweltering heat but there was a big pay off. We had a fantastic time sailing this old boat and, after two months, I had a job offer to fish in Bristol Bay Alaska. I had just turned 20 before my first fishing season and it was like stepping into another time and place. There weren’t so many rules as in the rest of the states. A place with no fences and huge sweeping views of the tundra, sea and mountains. This was a place of hard working folsk focused on gearing up for a frenetic and fast paced sockeye salmon run. Within a couple of days I met what was to become some of my closest and longest lasting friendships. Luck would have it that my first fishing job was with one of the Gypsy Fleet; a group of surfers, artists, mountaineers – all of them adventurers. With style and flair, they married the sometimes brutally hard work of fishing with a whole lot of ufn. The dynamics of this group and the personalities inspired and enabled a decade of adventures. Surfing in Panama and Indonesia, sailing down the west coast of the US, a motorcyle trip across India…. 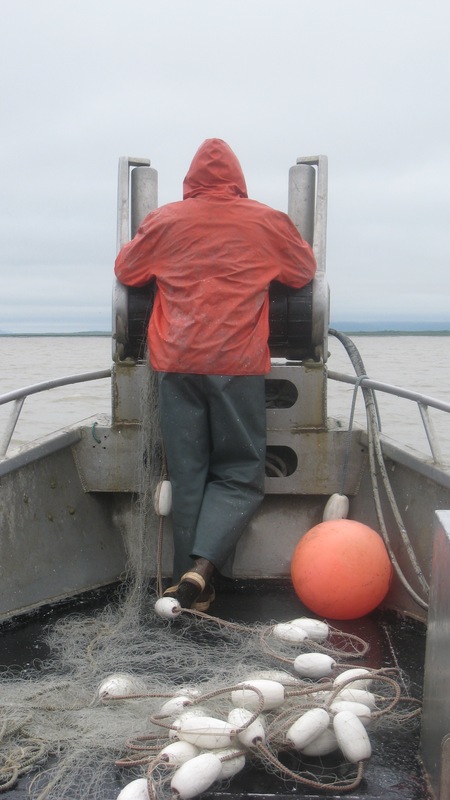 I traveled far and wide but, like the salmon, I found myself back in Bristol Bay every summer; working hard and enjoying the camraderie that goes with it. Without knowing it, my life began to follow the yearly cycle of the salmon themselves. After the birth of my daughter Juno, my wife, Marcie, and I decided we needed to find a better place to live and to put down some roots. We spent a year traveling the west coast looking for a place that offered that magical combination of climate, community, access to high quality water and wilderness and an established farm and foodie culture. We are so happy to have landed in the Applegate Valley. We love it here and have not looked back. Over the years, some chilling threats have developed with the discovery of a massive deposit of gold and copper at the headwaters of the two river systems that feed into Bristol Bay. Through trying to protect both my livelihood and that of my friends and community in Alaska, I discovered one of the best ways to do this is to share this incredible resource with my friends and community down here in the lower 48. Being a part of a fishery that I can be proud of for its record of sustainability and rigorous management that preserves the healthiest and largest salmon run in the world for generations to come and acts as a model of fisheries management around the globe. Through buying fish from me, the fisherman, you are directly supporting a local family and helping protect the wild Alaskan salmon of Bristol Bay.